Our S.T.O.P. 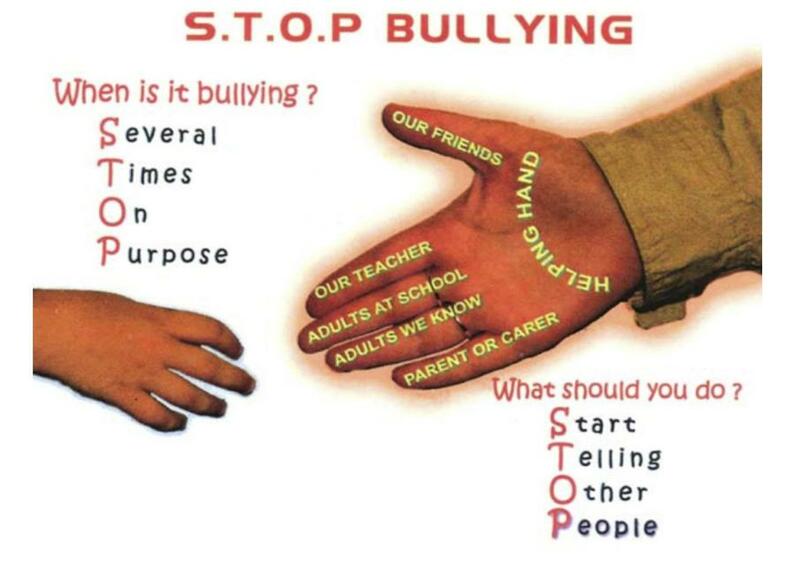 Bullying poster is looking a little out of date and we would like some great new designs to display around school so that everyone can be reminded about this important message. You must use a white sheet of A4 plain paper and either pencil crayons or felt tip pens. If you need a piece of paper to take home, just ask your teacher. Copy the poster below, but make it your own version, using a bright, eye-catching design, to get the message across! and printed for display around the school. Thank you for getting involved and helping to make our school even better!